Self-lighting pixels switch off completely to reproduce black. No light bleeding. Absolute black offers infi nite contrast. Consisting of slim glass panes and OLED panels, LG signage gives the impression that the image is being projected directly from glass itself. 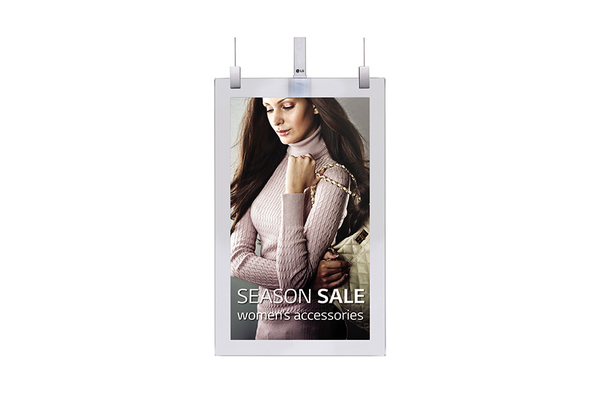 There are accessories available specifi cally for hanging models and stand models. The OLED panels provide a two-way media experience and save space thanks to their innovative slim design.